Caulfield Racecourse, home of the Melbourne Racing Club, features high-quality races including the Caulfield Cup, Caulfield Guineas, Blue Diamond Stakes and the CF Orr Stakes. Caulfield Racecourse is located just 8km from the Melbourne CBD in its south-eastern suburbs. Home to the Melbourne Racing Club, it is often called “The Heath” as the first jockeys to ride through the area had to fight through bush, heath and sand hills. Proper racing began in 1876 and since then it has grown into a spectacular racecourse featuring both a horse racing track and a steeple track. Between 1995 and 1996, the racecourse went under major renovations with the track widened to 30 metres and the circumference extended by 43 metres. The track is now 2080m in circumference with a straight of 367m. It is an anticlockwise track which has a triangular shape with sharp corners. There are 20 race days in each season with the track hosting eleven Group 1 races throughout the year. The two major events are the Autumn and Spring Racing Carnivals. Held during the Autumn Carnival, the Blue Diamond Stakes is a 1200m set weight race for 2 year olds. This Group 1 race is worth $1 million in prize money. The next big race is the CF Orr Stakes which is a Group 1 1400m weight-for-age race which is worth $300,000 in prize money. The Futurity Stakes is the first leg of the Asian Mile Challenge and attracts a group of strong sprinters and quality middle distance type horses. Raced over a 1600m track, the Group 1 weight-for-age race is worth $700,000 in prize money. The last major race held at Caulfield during the Autumn Carnival is the Group 1 1100m Open Handicap worth $350,000. 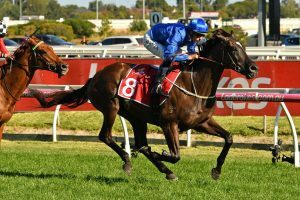 Spring at Caulfield is a fantastic season with plenty of races taking place, particularly over the three day Caulfield Cup Carnival. The first race on the list is the Group 1 Underwood Stakes. This 1800m weight-for-age race is worth $353,000 in prize money. The biggest race held at Caulfield is the 2400m Group 1 Caulfield Cup. This race is worth an astonishing $2,555,000 in prize money plus $44,000 in trophies. Worth just over $1 million, the Caulfield Guineas is a 1600m Group 1 set weight race for 3 year olds. Colts and geldings must carry 55.0kg while fillies must carry 53.0kg. The 1000 Guineas is a filly only race worth $503,000 in prize money. This 1600m set weight race is for 3 year old fillies which must carry 55.5kg. The nearest train station is Caulfield Station on the Cranbourne Line. Visit the Metlink website to plan your journey to Caulfield Racecourse. You’ll have about a 400 metre walk from the station to the racecourse. The nearest tram station is Caulfield Station. Visit Metlink to plan your journey to Caulfield Racecourse via tram. Caulfield Racecourse is located on Station Street in Caulfield, about 10kms south east of the Melbourne CBD – it’ll take about 20 minutes to drive there.